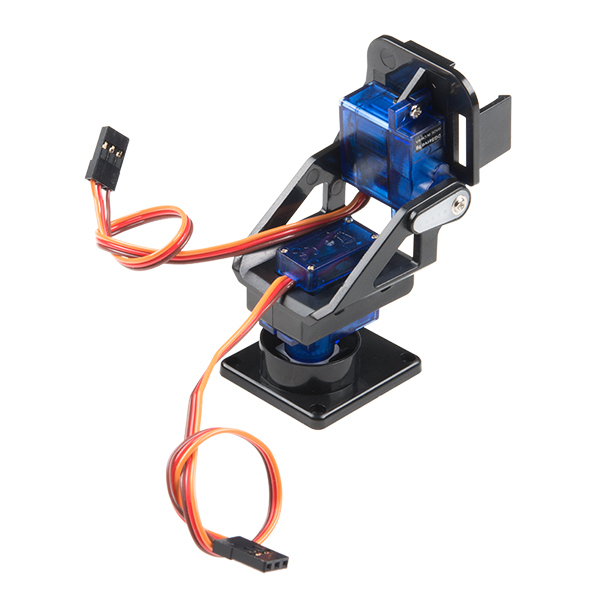 This is an easy-to-assemble pan/tilt bracket kit that utilizes servos to move on two axes fit for camera and helping-hand applications. 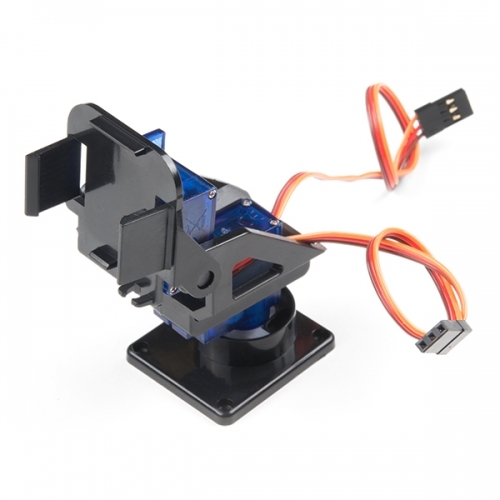 This particular bracket kit is the same one we use in our SparkFun Raspberry Pi Zero W Camera Kit to create a remote camera system for your home or workplace. Everything is included to get this kit assembled, even the servos (just be sure the servo motors are centered during assembly). All you will need is a small screwdriver set and a pair of clippers. Note: Since this Pan/Tilt Bracket is a kit, some assembly is required. Check our Documents for a complete Assembly Guide.